Available exclusively at Coverstore is our Covermates two-slice toaster cover in a rich quilted polyester material. If you are looking for a way to accent your kitchen, this is it! Think of how these covers will coordinate with black or stainless steel kitchen appliances! Our polyester material has a custom diamond shaped, padded quilting that is easy to clean. Our construction includes seams that are finished and reinforced with matching binding trim. Don't want to clean your toaster cover by hand? Just throw it in the wash to make it look brand new again! Regardless of the shape or size of your kitchen appliance, chances are we have the size for you. 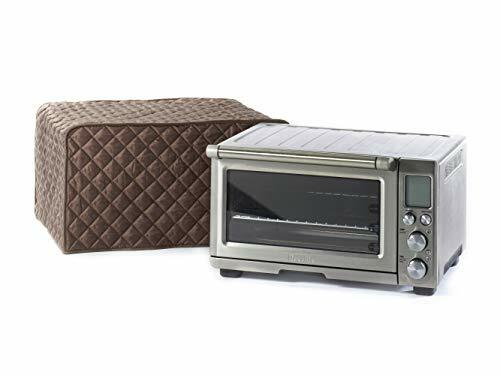 We've done our research and studied the various sizes of the most popular two-slice toasters and constructed our appliance covers accordingly. That means that we probably have the size you're looking for too! PLEASE NOTE: The appliance shown is a representation of the covers intended use, we recommend measuring your item before purchasing.